Under Section 80C of the income tax act, investments in certain products like life insurance make you eligible to claim a deduction in your overall tax. Under the current rules you can get a maximum deduction of Rs. 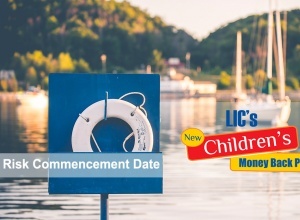 1,50,000 in your income by investing in life insurance products. Lets us understand this with the help of an example for the financial year 2016-17. All the above investments are eligible for deductions under Section 80C. So the total investment are Rs. 1,70,000 (75,000 + 35,000 +60,000) in the financial year. Now the exemption under Section 80C is only for Rs. 1,50,000. Assuming you don’t have any other eligible under any section, your income for this year would be considered as Rs. 5,50,000 for the purpose of income tax calculations. So now let us compare the amount of tax you would pay with the investments done by you in the 3 financial products and claiming deductions. So by doing investments in the 3 financial products, you not only save for your future but pay Rs. 30,000 less as income tax in the financial year. The government incentivises its citizens to use these so that individuals save for their future and also to generate funds which can be invested in long term projects. Important - All life insurance payments are not eligible for this exemption. 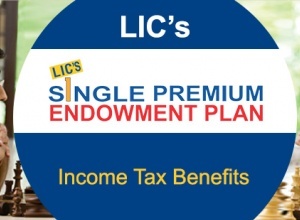 Let us understand when the life insurance premiums are not tax exempted. If the premium paid in a year is more than 10% of the amount of cover, then the entire premium is not tax exempted. This problem typically arises when it comes to Single Premium Life Insurance Plans. The annual premium for a plan is Rs. 65,000 and the amount of cover in that plan is for Rs. 1,75,000. In such a scenario, the entire Rs. 35,000 is not tax exempted. Only Rs. 17,500 (10% of Sum Assured) of the Rs. 35,000 will be tax free. So be very careful when buying life insurance investment plans. Check if the annual premium is less than 10% of the Sum Assured. Very often in Single Premium plans, this criterion is not met. So not only are the premiums not fully tax exempted under Section 80C, the maturity amount is also fully taxable.